Great Hair in 5 Minutes! Its 5:00 pm on a Friday afternoon and you’ve worked a full day and a long week, time to play! But your hair isn’t what it was when you started out the morning. Time for a 5 minute fix! Here are some tips to style up your look and look fantastic in a flash! Do a high ponytail or bun – if your hair is not long enough, try a clip on piece. I suggest checking out your local ‘beauty supply’ place to find a good quality and color match. Lift up sections around the top crown of your hair and spray a squirt of hairspray at the root – then lightly back comb the hair from about 1” down to root. This will give you a fresh lift. 4. Try a dry shampoo to add some fluff. Spray it at the root, it will absorb the oil and add volume instantly! 5.A fast heating curling or flat iron heats in 30 seconds and within 5 minutes you’ll be rocking a new style. Quicker Tip: Just touch up the the front and sides of your do. 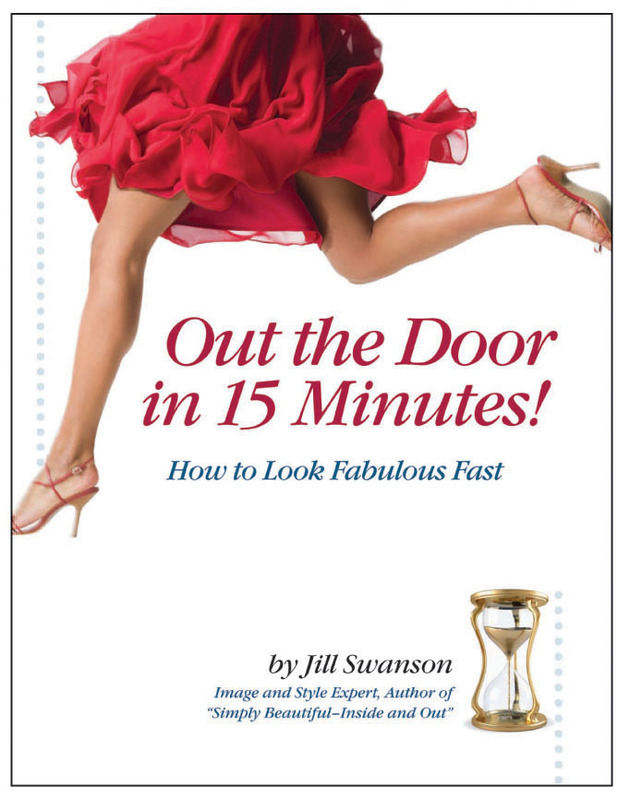 For a hundred more ideas on how to have your hair looking fabulous fast – check out my new book “Out the Door in 15 Minutes” Available at You can purchase it here on the site, at www.jillswanson.com or from Amazon.